Welcome to Chapa Blue, LLC! Chapa Blue, LLC. 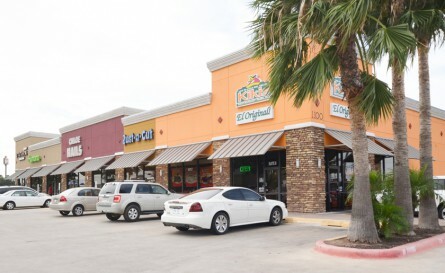 builds retail centers in the lower Rio Grande Valley involving new construction in key economic locations. Our expanding presence in the retail construction business has emerged our reputation as one of the best full service contractors in South Texas. We offer one of the largest selections of well-located, quality multi-family homes for lease in the McAllen – Edinburg area. Chapa Blue, LLC is prepared to offer all of our resources – from pre-construction throughout the life of your building – to help ensure the success of your project. As a leading builder serving the Rio Grande Valley, we can provide construction management, pre-construction planning, post-construction follow-up, and a range of complimentary services based on the unique needs and goals of your project. Chapa Blue, LLC has worked diligently over the past few years to establish a solid reputation for excellence in the construction industry. As a general contractor in the Rio Grande Valley, we have provided our services to clients in numerous industries. Our diverse portfolio includes retail plaza construction, restaurant construction to construction of multi-family apartment condominiums. We have an experienced, customer-oriented staff that oversees every project from start to finish. We know how to build on the right locations that maximize retail exposure to ensure project success. We have the contacts and resources to complete projects on time and on budget. Our company has completed over 100 projects and counting, since our start in 2000. Our company takes ownership of every project and ensure a smooth process from bidding/start-up, construction, an post-construction close out documents. Time to Buy Retail Properties? Retail property can provide long-term investment and is traditionally “safer to generate attractive returns. “For those looking to diversify their investments with steady yields and capital growth, retail property is a good option.” says an industry observer. Retailers usually want to do business for the long term and generally sign long term leases. This provides stability to the investor. With commercial property, there is less maintenance issues. Commercial properties currently have it easier when it comes to financing. Fewer retractions in comparison to residential properties. Our locations have tenants that have businesses that sell and are secured long term leases. We build our locations with easy access, large parking areas and are built with well established surroundings and high pedestrian traffic. 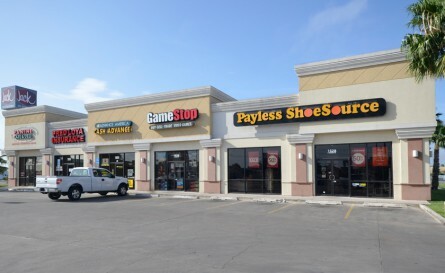 Looking to purchase an investment retail location, give us a call. Copyright © 2013 Chapa Blue, LLC. All rights reserved.